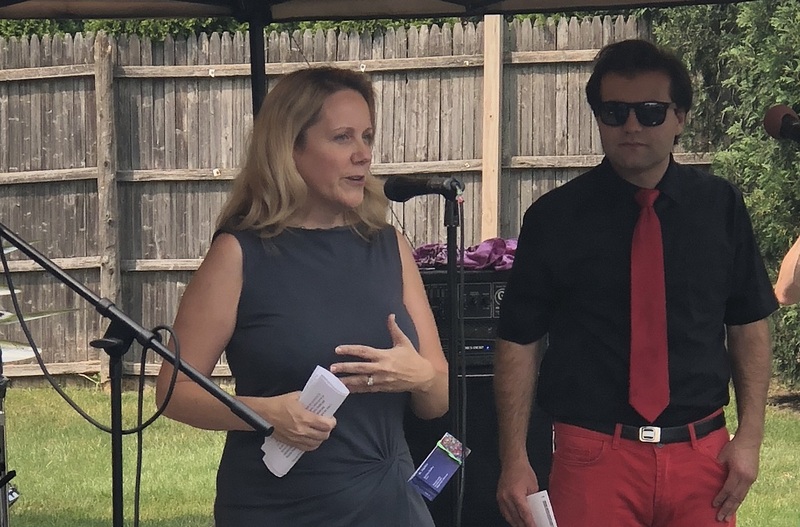 State Representative Deanne Mazzochi (R-Elmhurst) attended the 1st Annual Ride Away From the Darkness Motorcycle Run and Rally in DuPage County on Saturday. The event, in which more than 50 local motorcycle riders participated, was organized by Westmont resident Chris Svitak, whose son committed suicide nearly four years ago. All proceeds from the August 18 ride and rally were donated to the American Foundation for Suicide Prevention. Motorcyclists on two, three and four-wheeled cycles, several of whom had lost someone close to them to suicide, rode approximately 70 miles from the Harley Davidson dealership in Countryside to Walsh’s Bar and Grill in Westmont. According to Mazzochi, in Illinois, one-person dies every six hours due to suicide and suicide is the third leading cause of death in individuals aged 15-34. Svitak said he will host the event annually, and has made it his life’s goal to increase suicide awareness and help parents and loved ones identify the signs before it is too late. Mazzochi added that she will continue to work with and support stakeholders in the community to ensure access to resources that can help those struggling with depression and suicidal thoughts. Those experiencing suicidal thoughts, or who feel they may hurt themselves or others are strongly encouraged to contact the National Suicide Prevention Lifeline at 1-800-273-8255.